· Open Defecation Free States/UTs till date-24. · Swachh Bharat Mission launched on - 2nd October 2014. · Madhya Pradesh CM: Shivraj Singh Chouhan, Governor: Anandiben Patel. · China Capital: Beijing, Currency: Renminbi, President: Xi Jinping. · As per the bank's website, it has 937 branches in parts of the country. The Bandhan, a MFI, was given conditional approval by the RBI for setting up universal bank in April 2014. · The bank operational in 2015. Headquartered in Kolkata, Bandhan, which started as a micro-finance company in 2001, received banking licence by Reserve Bank of India in 2014. 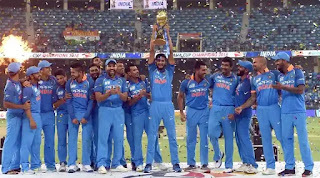 India winAsia Cup Title 2018.